Got flu? So you may be wondering how to get rid of the flu? Try to beat the flu naturally using home remedies. Infectious, contagious and viral, the flu is caused due to viruses called myxoviruses influenza A and B. It arrives quickly and sharply: muscle and headache, fever, fatigue. The flu can knock you out for weeks while still being a young, healthy adult. For children, the elderly and people with a weak immune system, the risks of complications, such as pneumonia, are much higher. The best way to protect yourself is to get vaccinated soon. You sneeze. Your nose sinks. The head makes you a little hurt. Maybe you already have chills and throat that tingles unpleasantly. You are "catching" a cold, no doubt! But getting rid of a cold does not go through the antibiotics. A cold, in fact, is not due to a bacterium, it is of viral origin. So it does not react to antibiotics. This year's vaccine is the same as last year's, but you need to get a new one this season. If you get it now, it should protect you until April, when the virus disappears. The vaccine prevents disease up to 80% of the time in adults under 60 years and about 50% in those over 65. If you get sick but are vaccinated, you will usually suffer a milder form of the disease. The standard vaccine, called trivalent, protects against three of the most common flu strains of the past year: two of the influenza A (H1N1 and H3N2) and one of the influenza B virus. The quadrivalent version that was started In 2013, protects against those viruses plus another, from influenza B. B strains are the most active at the end of the flu season, in February and March. The high-dose Fluzone vaccine has four times the antigen dose against influenza than the standard vaccine. A manufacturer-supported study, published in the New England Journal of Medicine, found that it was slightly more efficient than the standard flu vaccine in people 65 and older. However, according to the Centers for Disease Control and Prevention (CDC), the high dose version is more likely to cause side effects, such as a headache, muscle, and fever. Consumer Reports experts recommend that older people should weigh the potential risks and benefits of the vaccine when deciding which one to take. 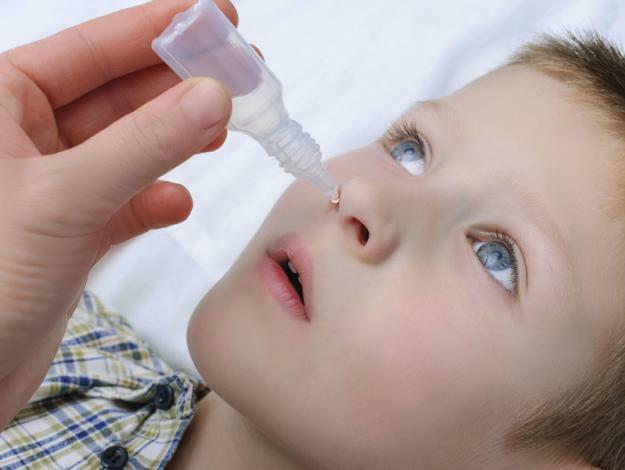 This year the CDC's Immunization Practices Advisory Committee does not recommend using the nasal spray vaccine because it has proven to be less effective than injected vaccine. If you are at high risk, do not wait to take antivirals. Oseltamivir (Tamiflu) and zanamivir (Relenza) medicines can relieve the symptoms of flu, reduce complications and reduce the chance of spreading the disease if you take them within 48 hours of getting sick. "If you have symptoms and are in a high-risk group, ask your doctor for antiviral drugs," says Fiona Havers, MD, of the CDC and one of the study's authors. At high risk if you are over 65, you are pregnant, you have a chronic disease like asthma, you have a weakened immune system, you are obese, or you live in a home for the elderly. These drugs only work against bacteria and the flu is caused by a virus. However, the CDC study found that doctors continue to prescribe antibiotics to 30% of people with the flu. Using them when you do not need them can make them less useful when necessary and increase the risk of infections. Instead, opt for what is proven: sleep a lot and drink lots of fluids, in addition to the use of over-the-counter medications. Acetaminophen (Tylenol and generic), ibuprofen (Advil and generic) and naproxen (Aleve and generic) reduce fever and headache, and often work better than products like NyQuil and Theraflu, which contain medicines you probably do not need, according to A report from Consumer Reports. Where to go for vaccination? The puncture is a minor annoyance, considering that it prevents a disease that in some cases can be complicated and take you to the hospital. Also, the vaccine gives real guarantees that you can have a winter protected from dangerous viruses, and not infecting others.